Below are links to excellent resources to gain more information about Harry Bridges in pop culture and in higher education, as well as information about other aspects of the book. The Angel Island Conservancy is a 501(c)(3) devoted to preserving the history of Angel Island, the Ellis Island of the West Coast and site of the first Harry Bridges trial. The University of Washington has a labor studies program with Harry Bridges as its namesake. 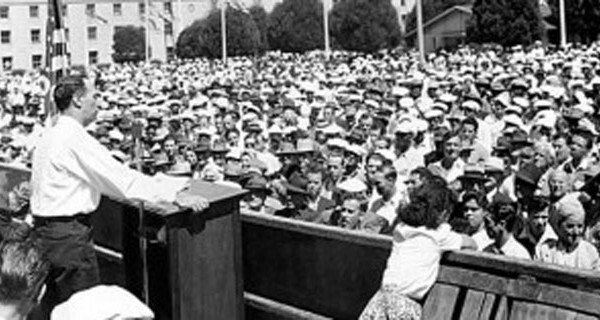 The Harry Bridges Institute educates workers about the history of unions with an emphasis on Harry Bridges’ ideas and vision. The ILWU’s San Francisco offices have a significant set of materials on Harry Bridges. Robin Walker is the ILWU’s Librarian & Head Archivist and Author Harvey Schwartz is the curator of the Oral History Collection in the ILWU’s Library, each of whom are incredibly knowledgeable about the ILWU and Harry Bridges. The Harry Bridges Plaza Organization is a 501(c)(3) attempting to secure funding for construction of a statue of Harry Bridges to grace the Embarcadero in a new, specific Harry Bridges Plaza.